Roger Federer breezed into the fourth round of the Miami Open with a straight-sets defeat of Filip Krajinovic. The fourth seed came from a break down to win the opening set and went on to move into the last 16 with a 7-5 6-3 victory on Monday. 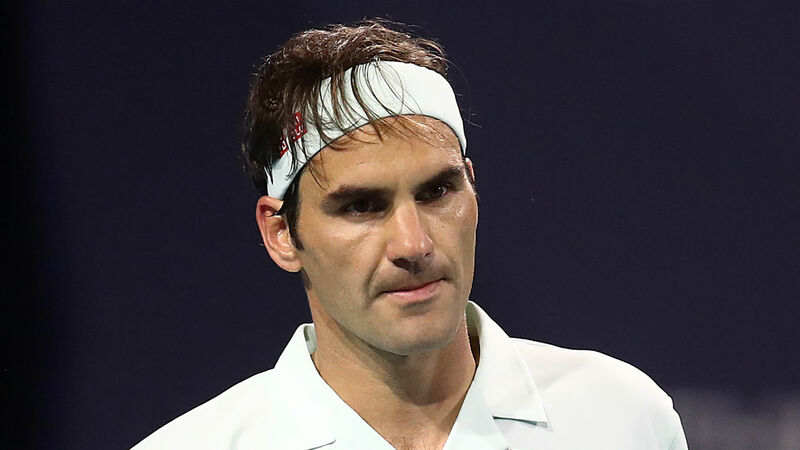 Federer needed three sets to defeat qualifier Radu Albot in the second round, but never looked like going the distance again once he overcame a shaky start. The 20-time grand slam winner struck 35 winners to leave an expectant crowd marvelling at his mastery and will take on Daniil Medvedev or Reilly Opelka in round four. Krajinovic defeated Stan Wawrinka in the second round and he was eyeing an even bigger Swiss scalp when Federer was broken to love in the third game, paying the price for overhitting a couple of forehands. Federer broke back immediately and fended off a break point to lead 6-5, before avoiding a tie-break by fizzing a searing cross-court forehand winner past the Serbian. The world number five, attempting to win the tournament for a fourth time, ramped up the pressure at the start of the second set and charged into a 3-0 lead. Federer came to the net at every opportunity and worked Krajinovic from side to side in the heat, going on to seal victory by serving out the match to love without facing a break point in the second set.